Portable Cloud Programming with Go Cloud — The Go core team has released an alpha of Go Cloud, a set of tools and abstractions to make migrating Go code between cloud providers extremely simple. “Think database/sql for cloud products,” they say. GCP and AWS are supported so far. Writing Great Go Code — Thoughts of a long time Go programmer and author around topics like packaging, errors, interfaces, and generated code. You will take something away from this post. 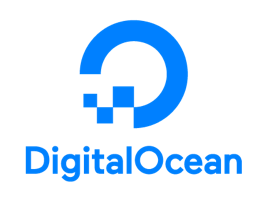 Get the Latest on Ubuntu 18:04 from the DigitalOcean Community — Join us in creating the go-to community for Ubuntu 18:04. Go 1.11 Beta 2 Released — The binaries are here and the draft Go 1.11 release notes are here if you want to stay up to date. Final release due in August. ▶ Brian Kernighan on Go, Programming Languages, and Computer Science — The co-author of The Go Programming Language book and creator of AWK explains that Go is the ‘newest’ programming language he uses. The rest of the interview isn’t specifically about Go but it’s great to see what such a well respected engineer is thinking. Find A Go Job Through Vettery — Vettery specializes in developer roles and is completely free for job seekers. An Early Peek at Go Modules — Running through scenarios, like developing against locally modified modules, to flush out how modules work in practice. Also, this post introduced me to gimme which makes installing Go master a snap. ▶ Go: Building on the Shoulders of Giants and Stepping on a Few Toes — An 50 minute talk on the history of Go and why its creators took certain design decisions. This is an ideal watch if you really want to get a feel for Go’s background. Free Report: The 2018 DevSecOps Community Survey — Mature DevOps practices are 338% more likely to integrate automated security. Download to see how you compare. Be Nice And Write Stable Code — Practical steps toward writing code that remains stable over time rather than being ‘pure’ for pure’s sake. gosec: A Go Code Security Checker — Runs a series of rules over some Go code’s abstract syntax tree to spot potential issues. GoLand 2018.2 Released — A major update with support for Go modules out of the box, an enhanced Move refactoring, new quick-fixes, an upgraded debugger and more. Expr: An Engine That Can Evaluate Expressions — A foundation for a business rules engine or handling complex configuration logic without having to recompile. Beego: A Framework for Rapid Development of RESTful APIs — Version 1.10 just came out. Netgraph 1.0: Capture and Analyze HTTP and TCP Streams — A tool for general use, not a library.